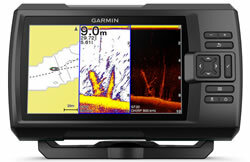 Buy a Fishfinder from the manufacturer Garmin to find ideal fishing locations when sailing on a boat, yacht or fishing boat. 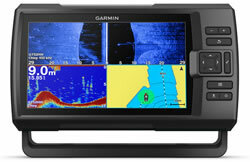 You will need a transducer too to connect to the Fishfinder to enable you to find the fishing hotspots. 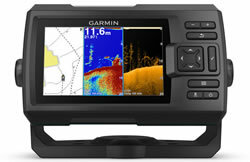 You can use the same transducer for your Chartplotter and Fish Finder if you also install an NMEA network. 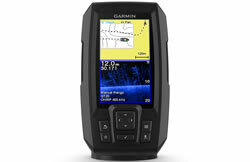 To find the perfect transducer to partner your Garmin STRIKER fishfinder and your boat, yacht or fishing boat please complete our online transducer form. Alternatively, if you know which transducer your require you can view the comprehensive range of transducers available buy from ActiveGPS. (we do however recommend that you complete our online form to find the perfect transducer). Pictured below, transom mounted transducer, thru-hull transducer and in-hull transducer.